When San Diego State defeated Boise State on Nov. 3, Aztec cornerback Leon McFadden recorded four tackles and a pass break-up in the game. The numbers weren’t eye-popping, likely because teams often shy away from throwing to McFadden’s side, but one statistic inched him closer to leaving his mark in the SDSU record books. With the pass break-up against Boise State, McFadden improved his season total to 10, good for most on the team. He now has a total of 37 pass break-ups in his career, which ties a school record. 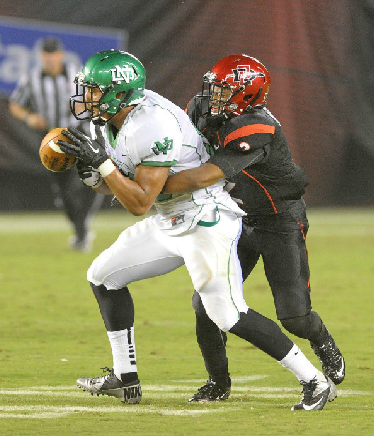 He has matched former SDSU defensive back Eric Lewis, who also broke up 37 passes from 1995-1998. What is most impressive about the statistic is that McFadden has managed to tie the record with a limited number of opportunities. Tabbed as the Preseason Defensive Player of the Year in the Mountain West Conference before the season began, he has developed a reputation as a shutdown cornerback. Opposing offenses often focus on the side of the field where McFadden isn’t, taking away chances for the senior cornerback to make plays. Despite the reduced opportunities, he has still managed 56 total tackles and three interceptions, two of which he returned for touchdowns, in his final season at SDSU. With two games remaining and only one pass break-up needed, McFadden has a great chance to break the record and solidify himself as one of the best defensive backs to ever play at SDSU. Leon McFadden recorded two pass break-ups in the final game vs. BYU. 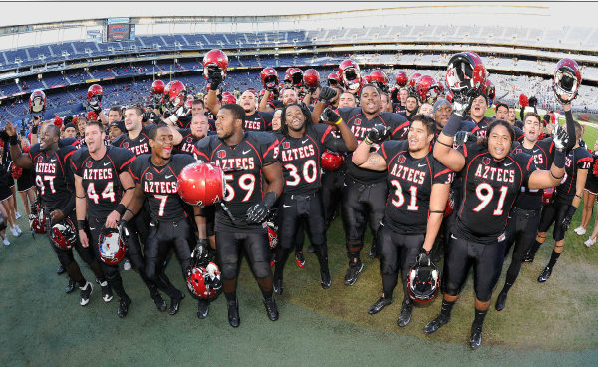 He now holds the record for most pass break-ups in San Diego State history with 39. Did you miss last week’s “Stat of the Week” post about kickoff return yardage? Check it out here!